I am at Whitchurch at the Blackberry Fair until 6pm today. 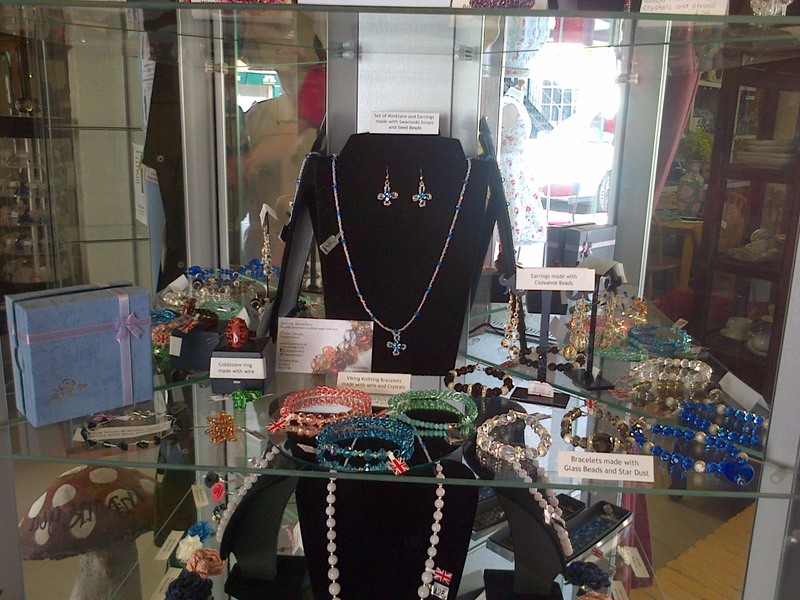 You can buy these lovely jewellery made by me at Big Reds House in Whitchurch. Some of the jewellery in this picture was made with Swarovski crystals, others crystals, glass beads, rhinestones, viking knitting with wire and others. I can make them all the jewellery in different colours at your request, just contact me for more details. 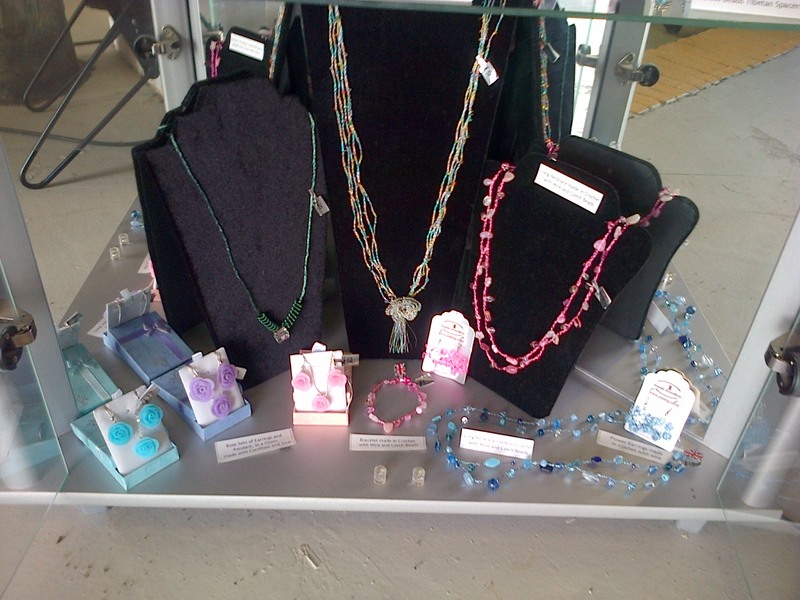 You can buy these lovely jewellery made by me at Big Reds House in Whitchurch. 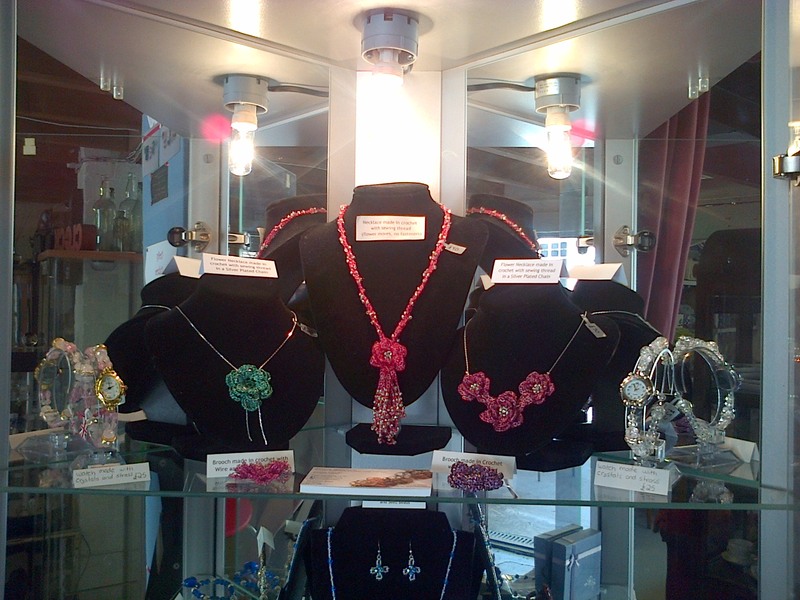 Some of the jewellery in this picture was made in crochet with sewing thread. There is also 2 watches made with crystals and rhinestones. You can buy these lovely jewellery made by me at Big Reds House in Whitchurch. 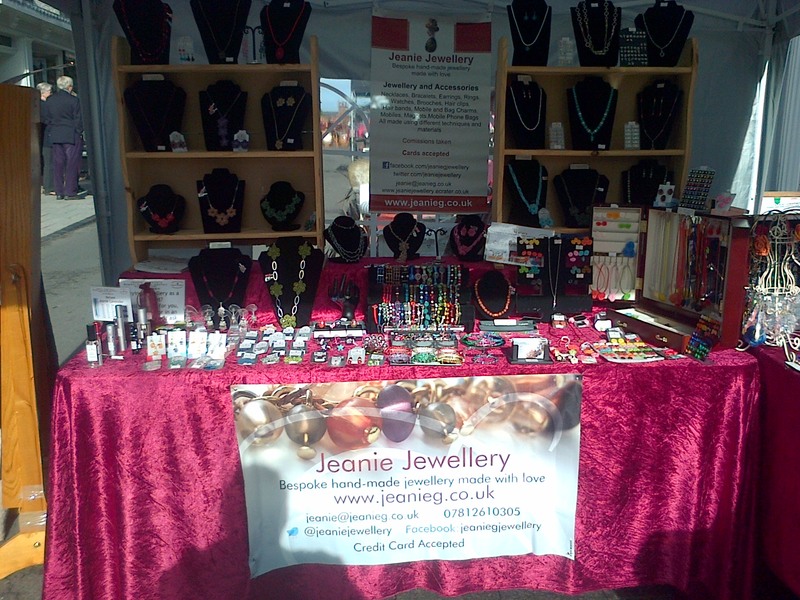 Some of the jewellery in this picture was made in crochet with wire or sewing thread. You also have the roses made in “Biscuit” a modelling air drying clay made by me with cornflour and PVA glues.